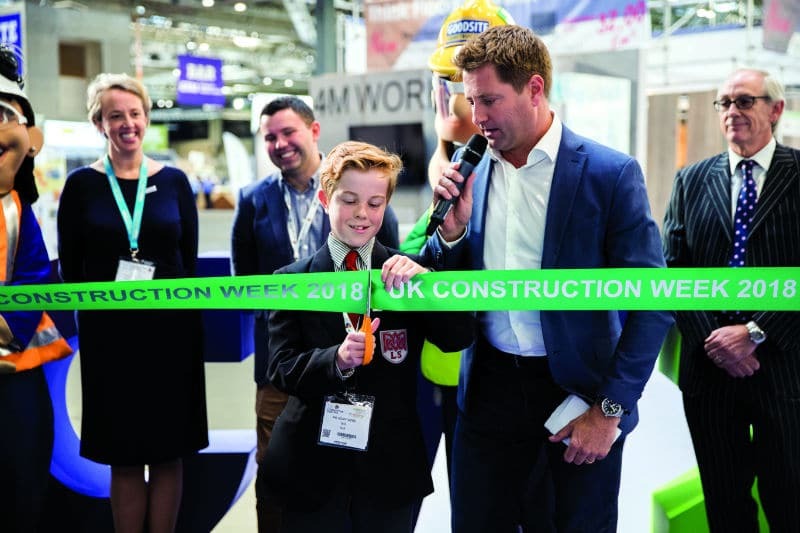 For three days a year the construction industry comes together at UK Construction Week (UKCW), held at Birmingham’s NEC. This year the theme was the ‘Future of Construction’ and to support that future, a comprehensive student programme was put in place. The programme was a success with a large influx of students from across the country attending and learning about what construction has to offer as a career. Architect and TV presenter George Clarke presented the Ministry of Building Innovation and Education (MOBIE). The aim of MOBIE is to inspire younger generations to define how they want to live now and in the future. At UKCW, groups of students were challenged to design their home of the future. This process started by making structures out of paper, pencil sketching, then transferring to an iPad and finally modelling it in CAD. As well as being creative with their designs, students were also to consider the materials they would use, building methods they might employ, and any other factors they felt would be important to homes of the future. Make:it_Brum was another initiative aimed at Year 9 and 10 students. This was a collaboration between Intervention Architecture and Arup who held a workshop to design a pavilion, which would then be built and displayed at UKCW. 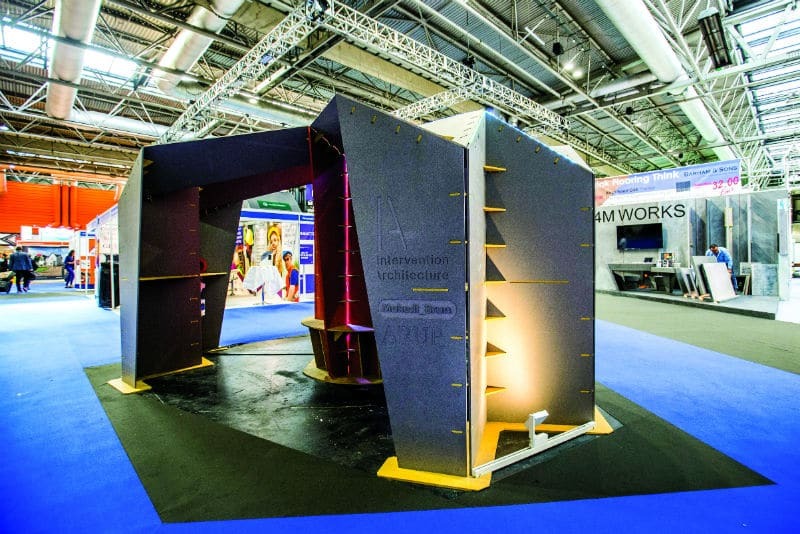 The students presented their concepts and the winning design, which was named the ‘Screw’ after Birmingham’s manufacturing heritage, appeared as a bright red structure at UKCW. The Finishes and Interiors sector also ran the #iBuiltThis2018 photography competition. This involved students taking photos of themselves in front of their favourite building or something they built themselves. The winners were Hollie Baynes for her House of Horrors, Naomi Hamilton for An Arch and Jamie Hubbard for The Ivy House. The Institution of Civil Engineers (ICE) set up a challenge to Save Civil City. This was to show students exactly what sort of projects civil engineers are involved in by describing them as invisible superheroes. The three challenges were balancing bridges, fight the flood, and propping up Pisa, all of which posed real-life civil engineering situations. Their stand attracted a large number of students from Newcastle to Yeovil. Student accommodation was also part of the offering in the offsite construction area. Modular building specialist Vision Built installed a two-storey house and student apartment for all to experience. The structure is now on its way to its final location in Suffolk. 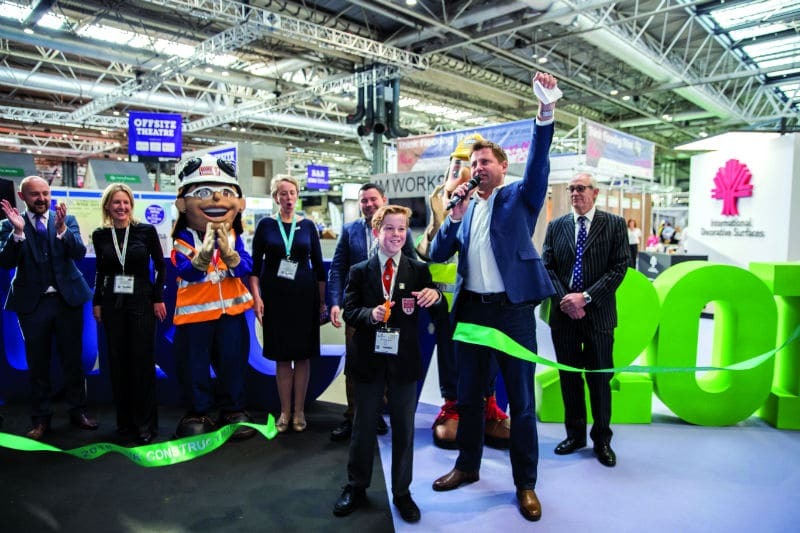 To increase diversity, equality and inclusion in construction and to encourage young people to consider it as a career opportunity, UKCW launched the Role Models initiative in March 2018. After tough consideration, the judges shortlisted 36 professionals from more than 130 high-quality entries. 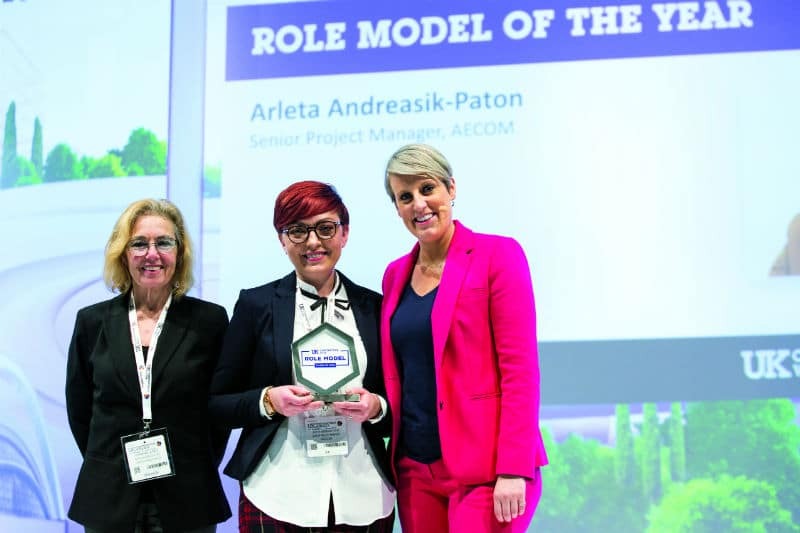 This year’s winner, Arleta Andreasik-Paton, a construction project manager at Aecom, was recognised for her passion for inspiring the next generation into construction. Arleta was presented with her award by Steph McGovern, journalist at BBC Breakfast, and Barbara Res, the female engineer behind Trump Tower. 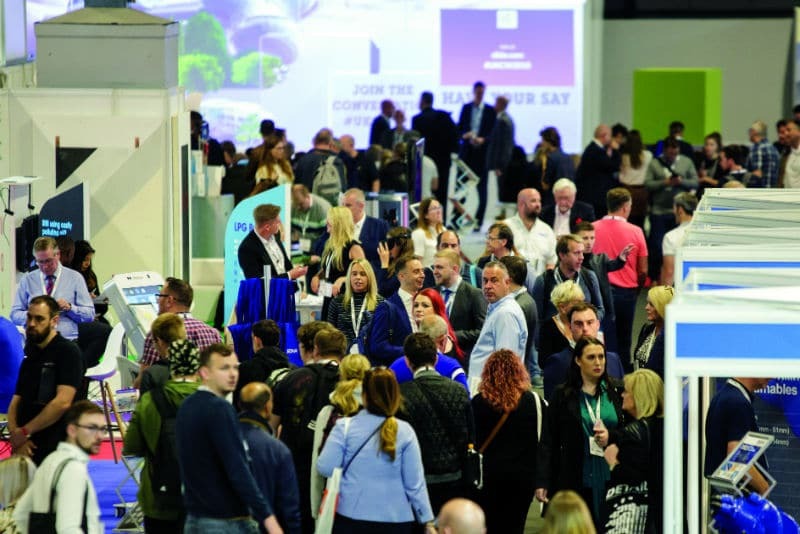 Nathan Garnett, UKCW event director, said: “Our role models initiative aims to encourage new talent into the industry, and this campaign gave us a fantastic opportunity to work with Nottingham Academy for Girls. We have loved hearing directly from the students about what inspires them.